Winchester Hospital offers weight management and weight loss programs that have proven success in helping our patients lose weight and keep it off. Whether you have 10 pounds to lose or more than 100, Winchester Hospital can help you realize your goals. 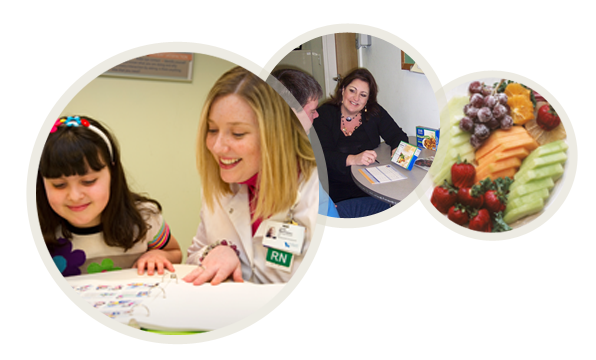 Winchester Hospital’s Nutrition Services offers appointments with dietitians who work with you to design a personalized nutrition program. Learn more about our Nutrition Services. Winchester Hospital’s award-winning HMR® Weight Management Program, which features a comprehensive approach including nutrition education, lifestyle modification and the structure of meal replacements, to help achieve weight loss. Learn more about our HMR® Program. Weight-loss surgery through the nationally recognized Winchester Hospital Bariatric Surgery Center, which offers the most state-of-the-art weight loss procedures including gastric bypass, sleeve gastrectomy and gastric banding, and advanced laparoscopic and bariatric surgery. Learn more about the Winchester Hospital Bariatric Surgery Center. Winchester Hospital’s Hypnotherapy services can help with weight loss and many other needs. Hypnotherapy uses words and images to bring you to a stage of deep relaxation when you are unusually responsive to an idea or image. Click here to learn more about our Hypnotherapy services at Winchester Hospital, or call 781-756-4700. Read a story from a patient who lost 136 pounds following laparoscopic gastric bypass surgery at Winchester Hospital. Find out about a great tool to help you learn how many calories you really need each day.